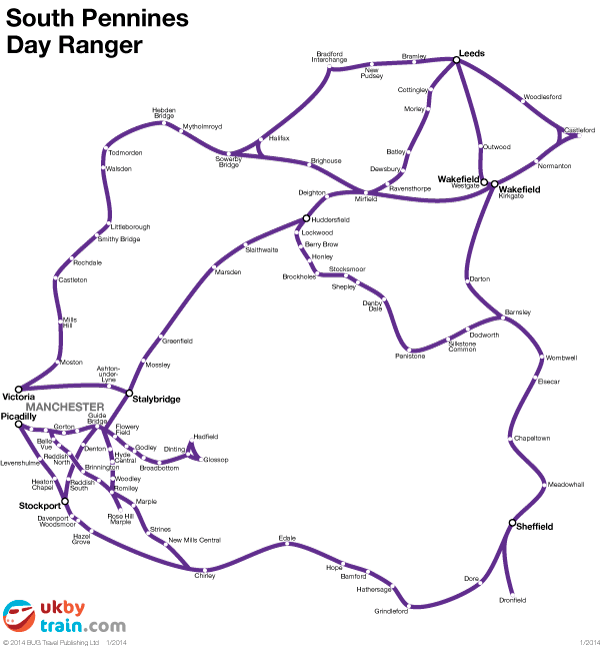 The South Pennines Day Ranger rail pass gives you unlimited rail travel in the region that encompasses Manchester, Leeds, Sheffield and parts of the northern Peak District. It covers travel in parts of Greater Manchester, South Yorkshire and West Yorkshire. It is good for travel after 8.45am Monday–Friday and all day on weekends and bank holidays.